The estimated percentage of uninsured motorists in the U.S. has been trending down for the past three years, according to new estimates from the Insurance Research Council (IRC) in its "Uninsured Motorists, 2014 Edition" study. 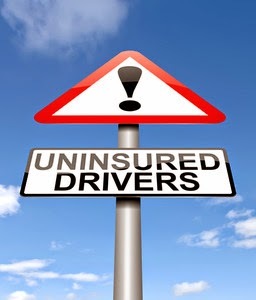 In 2003, a cyclical high of 14.9% of drivers were uninsured, while the IRC’s most recent findings show the ratio has fallen to 12.6%. Nationally, the number of uninsured peaked at 29.9% in 2009 and moderately declined thereafter to 29.7 million in 2012. Discounting fatalities and total permanent disability claims, the IRC estimates that $2.6 billion was paid in the U.S. on 2012 uninsured motorists claims. Despite the declining trend in uninsured rates over the last decade, this amount has increased 75% over the last 10 years, translating to $14 per insured individual in 2012.